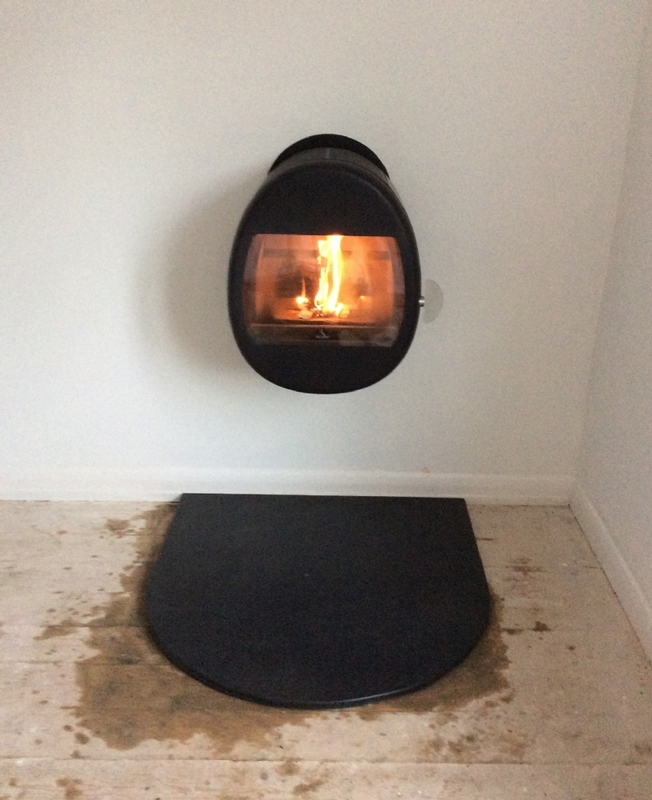 Scan 66 wall hung wood burning stove installation from Kernow Fires. 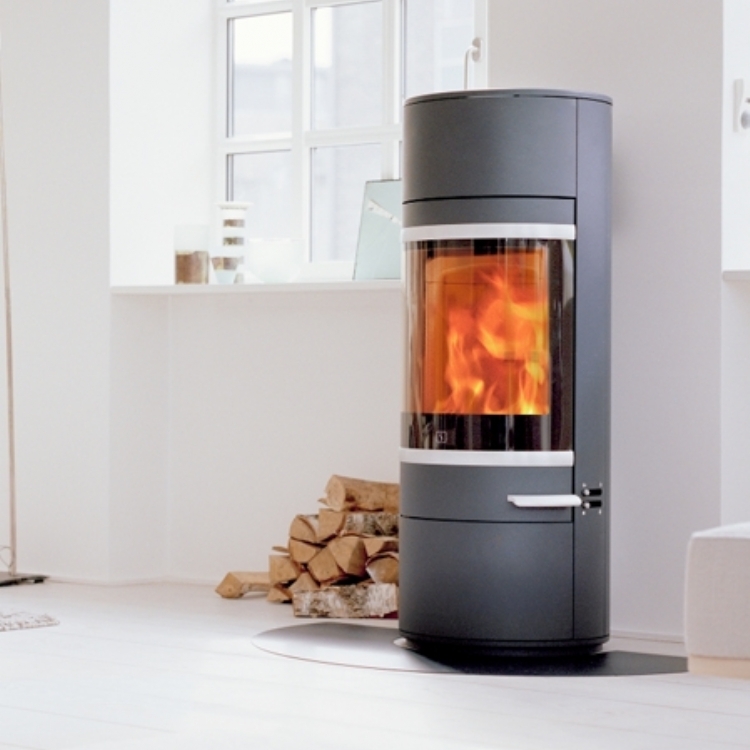 Customer Aspirations: A wood burner with design appeal. The Scan 66's unique design is something that appealed to this customer. It can be wall hung, as it is here, or comes with a pedestal and other leg options. The fire is flued directly into the back of the fire to a twin wall flue which travels up the outside of the building. 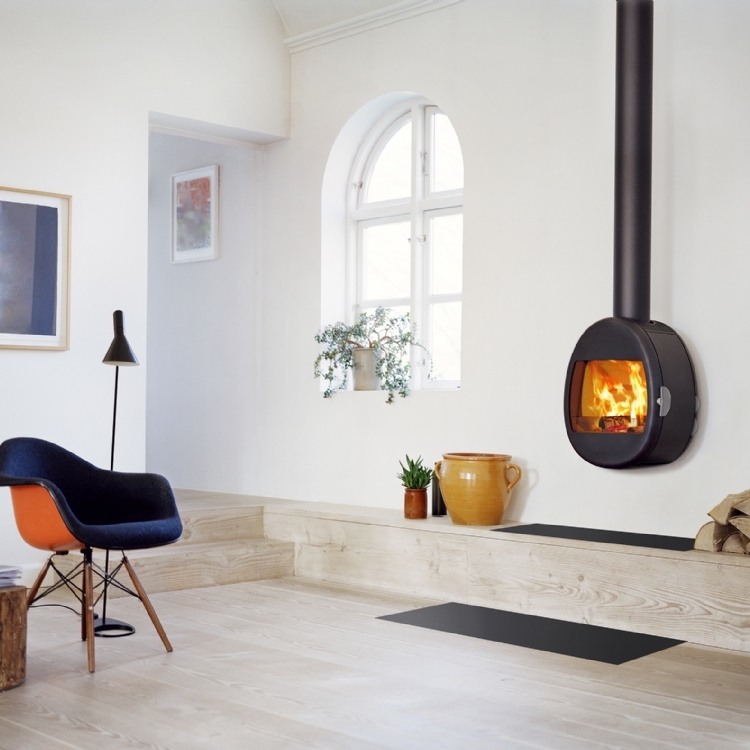 The D shaped honed slate hearth was made to order.